reduce the attrition rate of candidate compounds in the clinic, before they enter the clinic. Crown Bioscience, Inc. is a Preclinical CRO with expertise in the disease areas of Oncology and Metabolic Disease. We are known for the breadth and quality of our in vitro and in vivo models, as well as our ability to help clients quantify the real efficacy and pharmacological profile of their candidate before they move into the clinic. Mitra Biotech is a global leader in advancing personalized cancer treatment and empowering drug development & discovery. Our unique CANscript™ platform delivers powerful, individualized treatment response predictions — with exceptionally high correlation to clinical outcomes — to inform patient-specific cancer treatment selection and enhance drug discovery. MI Bioresearch, a preclinical oncology service provider, offers in vitro services, oncology pharmacology, in vivo imaging, and focal radiation to support research programs. Our team explores the effects of your drugs and biologics using both human and syngeneic models and multi-modality imaging systems. MI provides you with decision-driving data to help advance your drug candidate toward the next cancer research breakthrough. One Focus. One Purpose. Oncology Research. Pharmatest Services Ltd is a CRO offering preclinical efficacy services for the pharmaceutical industry. We offer both in vitro and in vivo models in the fields of oncology and skeletal diseases. In oncology we have special expertise in clinically predictive orthotopic and metastasis models, and especially models of bone metastasis. 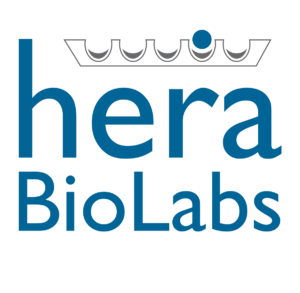 Hera Biolabs, Inc., is an innovative pre-clinical CRO utilizing cuttingedge gene-editing technologies to create novel in vivo models for oncology. Given our mission to accelerate cancer research and rug development, we focus upon rat models to deliver translationallyrelevant, high-quality results. Using proprietary technologies. Our first SRG model is the OncoRat®, uniquely suited for xenograft studies given its excellent tumor take-rates and ability to deliver masses 10x that of mouse models in half the time – all without the increased risk of genetic drift from multiple passages as observed in mice. 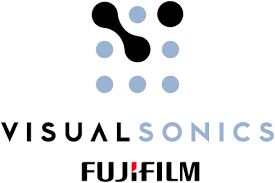 VisualSonics is the world’s leading developer of high-resolution, ultrasound-based, in vivo microimaging systems designed specifically for non-invasive preclinical research. The company’s enabling technology allows researchers at the world’s most prestigious pharmaceutical and biotechnology companies, hospitals and universities to conduct research in cardiovascular, cancer, and developmental biology areas. The technology supports applications that include genetic research, phenotypic studies and drug development. Fuel3D are developers of BioVolume™, a subcutaneous tumor scanning and measurement system. 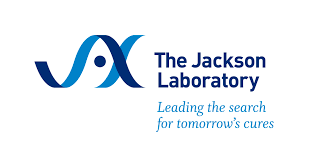 Codeveloped and deployed in oncology research by leading pharmaceutical company AstraZeneca to replace caliper measurement for analysis of subcutaneous tumors in xenograft models. BioVolume supports AnimalWelfare and benefits 3R’s across Oncology In vivo Research. Studylog’s Animal Study Workflow Software® is designed for biomedical animal research and provides features for the design, planning, execution, analysis, and reporting of animal studies in a standardized, highly efficient manner, while protecting data integrity. Reducing many labs’ study-related labor by half, Studylog automates and streamlines the entire animal study process, making it Easier, faster and cheaper, so researchers have more time and resources to get their job done.